Two University of Kent academics, Dr Jaideep Oberoi from Kent Business School and Professor Miguel Léon-Ledesma from the School of Economics, are among the winners of this year’s research prize from the International Centre for Pension Management. The ICPM research prize winners receive an invitation to present at organisation’s bi-annual Discussion Forums, which connect leading pension sector experts and academics from around the world. They also receive a cash award of $10,000 Canadian dollars. According to the ICPM the quality of submissions was universally high. This year’s prizes went to researchers from globally leading institutions such as Harvard Business School, London Business School, Stanford University and Cambridge Judge Business School. Alongside Professor Léon-Ledesma and Dr Oberoi, the University of Kent’s winning paper, Population Structure and Asset Values, was co-authored by fellow academics from other institutions. From the University of Waterloo was Stephen Bonnar, Lori Curtis and Kate Rybczynski, and from the Canadian Mortgage and Housing Corporation (CMHC) was Mark Zhou. ICPM is a global, research-based network of pension organisations that stimulates leading-edge thinking and practice about pension design and management. The network is composed of world-leading pension delivery organisations that collectively manage over US$3.5 trillion in assets. ICPM fosters dialogue and interactions among Research Partners and leading academic researchers around the world, and shares research across the ICPM network to facilitate thought leadership on major issues facing pension systems and organisations. 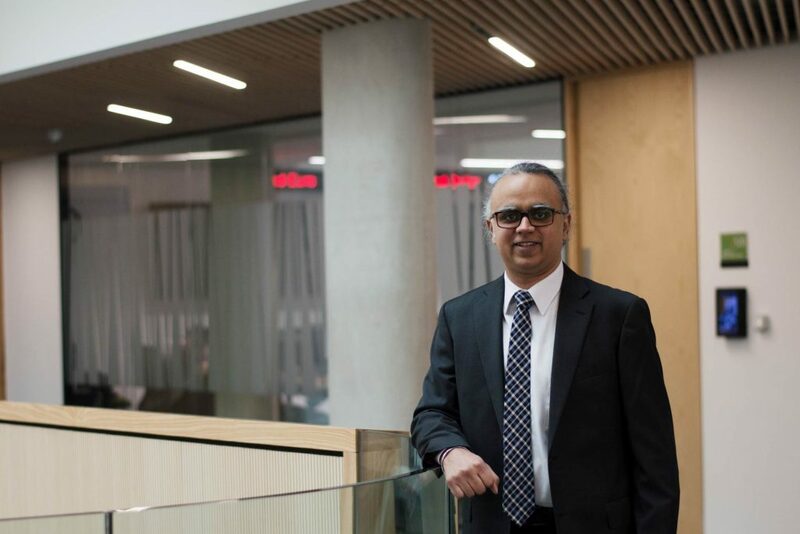 You can find out more about the range of undergraduate and postgraduate Finance programmes available at Kent Business School, including the Finance (Finance, Investment and Risk) MSc that Dr Oberoi helps convene. Jaideep Oberoi is a Lecturer in Finance at Kent Business School. He has a PhD in Finance from McGill University, a Masters in Economics from Concordia University, and a degree in Economics from the University of Delhi. Jaideep currently teaches financial risk management and derivatives for the Master’s in Finance suite.